There exists comprehensive historical sources & Jewish, Christian and Muslim traditions about the Temple Mount. Archaeological artifacts proving the existence of the Jewish Temples have been found regardless of Palestinian denial. the Western Wall is not the holiest site in Judaism, but rather the Temple Mount itself, where Solomon’s Temple once stood. It’s as if the Jewish people randomly built a wall to pray at thousands of years ago and the 36-acre platform above it did not hold meaning until a mosque, centuries later, was built there. The UNESCO resolution is a modern pogrom against the Jewish people’s connection to its historic homeland. You failed history UNESCO - Set up shop in any country that is not the United States or Israel. Welcome back David. Thanks for the information. Even this discovery would not be enough to convince the deniers .Their hate has left them blind to truth. A wealth of fascinating information. Thank you, David. Yes, haters and deniers are always there, but they are completely wrong. 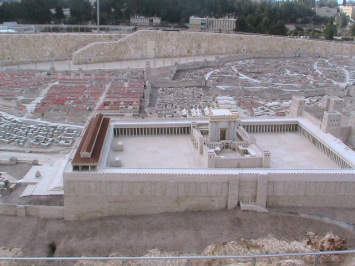 There were Jewish temples at the Temple Mount. Noted! No denial from me. Thanks for sharing! I will never donate another cent to the U.N. It is now controlled by Muslim despots and bigots and I can't see that changing anytime soon. Disgusted with countries like Mexico and Brazil. They shouldn't be pandering to these evil regimes. What UNESCO is doing is offensive to me. I started my career in archaeology but switched to social/cultural anthropology later on. Nevertheless, I keep up with reading about new finds. There is no basis archaeologically or historically (as cited in the early historical texts of non-Jewish writers) for UNESCO's viewpoint. As well, priceless finds are being lost to those who go in with a heavy-handed, unprofessional approach using construction equipment. UNESCO has become a fraud.